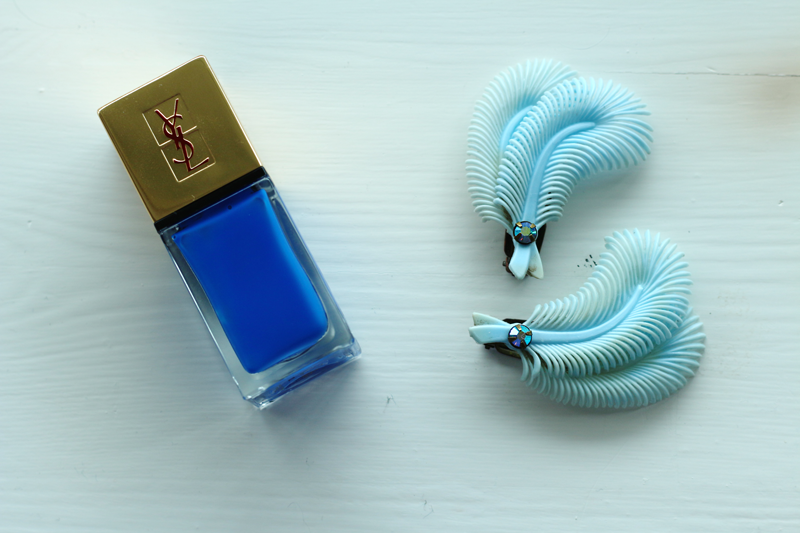 My favorite products at the moment, the YSL nailpolish came home with me from Berlin, same with the amazing plastic feathers that are vintage from the 60's. The Shu Uemura hair treatments are a lifesaver for my blonde crispy hair, one for keeping the color, and one for protein rebuilding. I also recently changed my long time favorite foundation from MAC for a different one, I was tired of the chalky mask the other one gave me. I'm also hooked on Aesop after I was gifted with a sample in Berlin, smells delicious! 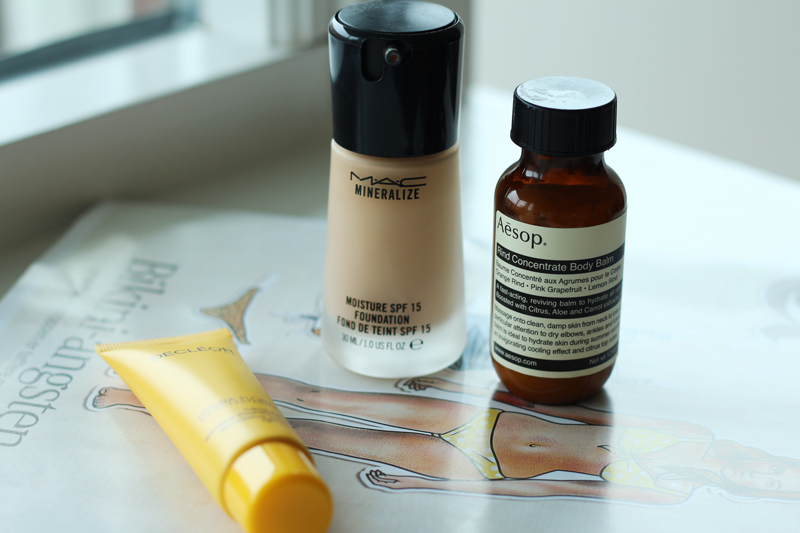 The Decleor day creme is one of my products from the Hydra Floral series, and I absolutely love it. I've been searching high and low for the perfect skin care series for years, and I've finally found it. 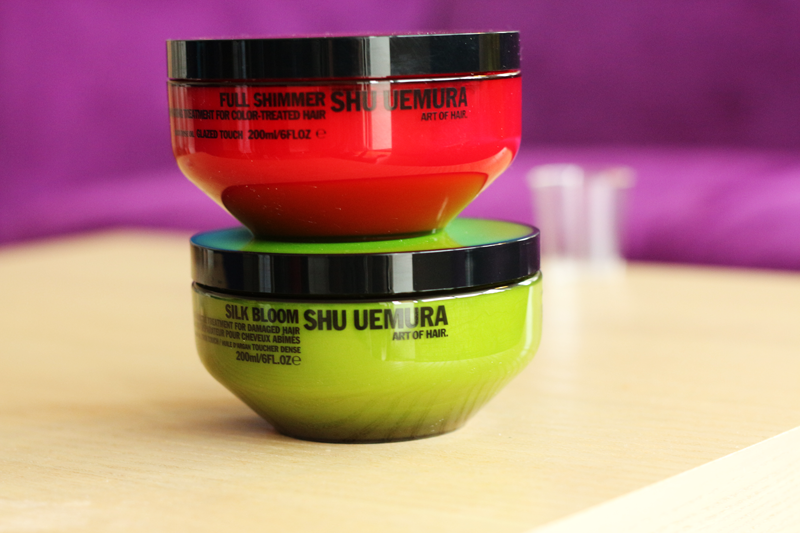 Last but not least, the Shu Uemura full shimmer series keeps my hair color radiant, I find it a necessity to use the entire series for maximum results.